I searched around for a long time trying to find a good one and then just ended up creating my own. For anyone that might not know Marmite is like Vegemite, and can be found in most US food stores. Although we pay a lot more for it here. 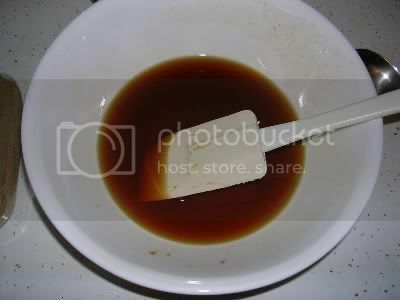 In a separate bowl combine Marmite, brown sugar, honey, and hot water. If you like the taste add two dashes of hot sauce, it adds a little spice to the sweet. Heat a few tablespoons of olive oil in a skillet on medium-high heat. 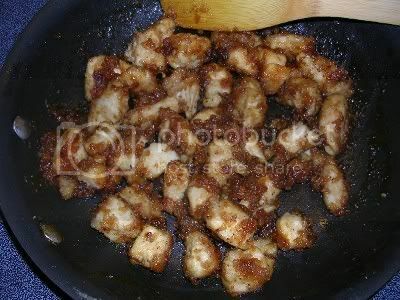 Cut up chicken in a bowl (or a zip-lock bag) and coat with flour. 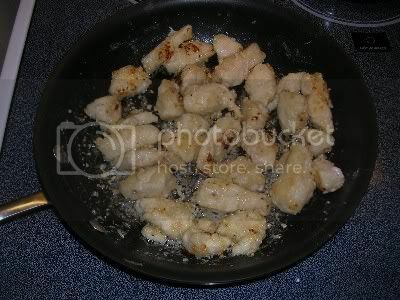 Add 2 tsp of minced garlic and floured chicken to hot skillet. At this point you could add ground pepper if you like. Cook until chicken is golden brown and just about done. Turn heat down to medium and add Marmite mixture. The liquid will caramelize and reduce. Make sure your chicken is fully cooked, and enjoy! I usually cook this up with jasmine rice. I always use vegemite in soups and to add flavour to food...there is nothing like a toasted cheese, tomato and vegemite sandwich (or toast with vegemite topped with a fried egg and served with grilled tomato). Yum Yum!! ..but then being Australian I grew up on the stuff and love it!! It is important to remember that marmite is a beef extract, and vegemite is a yeast extract. Vegemite is suitable for vegans as it has no animal products at all. It is also high in folate and other good minerals. Marmite is a yeast extract, it's made from beer. From marmite.com: "Marmite is made from brewer's yeast that's been used to ferment sugars into alcohol." I didn't care for it by itself on toast, but it's really good when used to cook with. My better half smoothers it on rolls and eats it as is. The only beef one I can think of would be Bovril. It comes in a similar jar as Marmite does. But tastes much different. Yep, Marmite is a yeast extract and is wonderful on toast or on fresh buttered bread where the creaminess of the butter contrasts with the saltiness of the Marmite. Bovril is the beefy one in a jar with a red top. My mum also used to put it in stews and such to give added flavour. Interesting, as Marmite used to be a beef extract. Good to know it is now a yeast extract. I will check if it is vegan or not. Is Vegemite still available in the US? I know it was banned at one point. I couldn't live without it. Have it on my toast practically every morning. I'm sure it must be Bovril you're thinking of as that is made from beef extract and has been around since 1886. Briefly during the BSE problems in the UK Bovril was reformulated to remove the beef but since the ban on British beef exports was lifted Bovril has returned to it's beefy roots! Now the big question: love it or hate it!? Quite the passionate subject, I dare say. This chicken dish looks amazing, this is something I must try. Are you sure that marmite is a beef extract? I was taught that both vegemite and marmite are yeast-based. I'm not a big fan of either one, but my mom loves it. I have a vegetarian daughter, and my mom often makes it for her insisting that it's vegetarian.